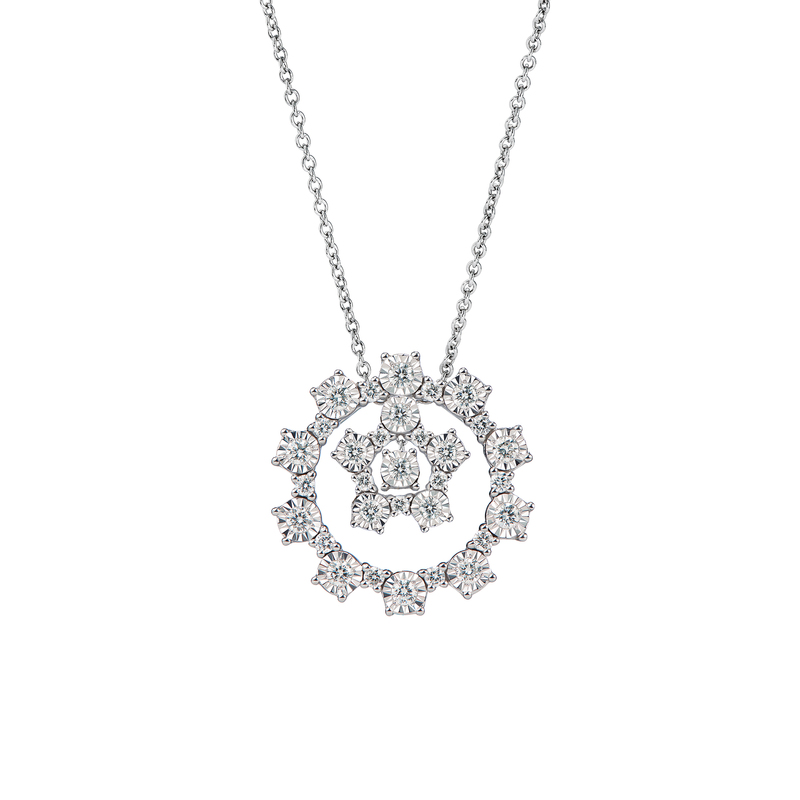 The Viva diamond pendant necklace is truly a celebration of love and devotion. Beautiful for day or night. Round brilliant diamonds set in 18k white gold.